​Before the temperature rises, international hotel chain Maritim has a range of skiing destinations across Germany for all ages and abilities that perfectly balance consumerism and cosy charm. 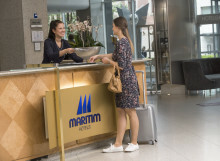 For those looking for a cracking Christmas, German hotel chain Maritim is offering a wide range of dedicated Christmas market travel packages to celebrate the most wonderful time of the year. 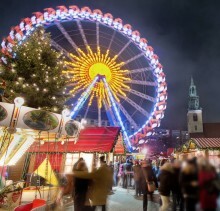 From sizzling sausages, red cabbage and gluhwein (mulled wine) to wheat beer and gingerbread, Germany’s festive fairy-tale markets have something for everyone. 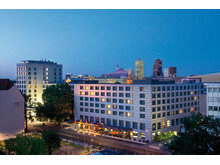 Offers an impressive view: The Panorama Restaurant, Maritim Hotel Ulm, Germany.